Whoever made the decision to go for a full cast reading of Philip Pullman's His Dark Materials took a bold gamble which has paid off handsomely. Against the trend of the time which was clearly in favour of narration, a full cast reading is more challenging to listen to but, for a work as complex as this, much more rewarding, too. Pullman's own narration gives a clear framework for all the stories. In The Amber Spyglass, as with the others, he reads at a brisk pace, setting the scenes for the extensive cast to carry out their cleverly interwoven roles. 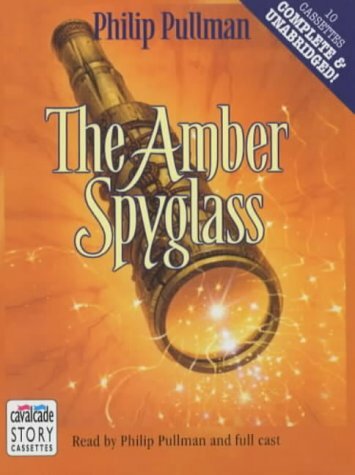 All three books have characters whom it is hard to imagine realised but The Amber Spyglass has the particular difficulties of the angels Baruch and Balthamos and the extraordinary and tiny Gallivespians to carry off. Suffice to say all works perfectly with every nuance of pathos, wit and humanity extracted from this magnificent book.